I did this a few days ago but I never had the chance to submit it. This scan was sitting in my computer for a long time. this was a really easy vector, as you can see. It took me probably about half a day or something. 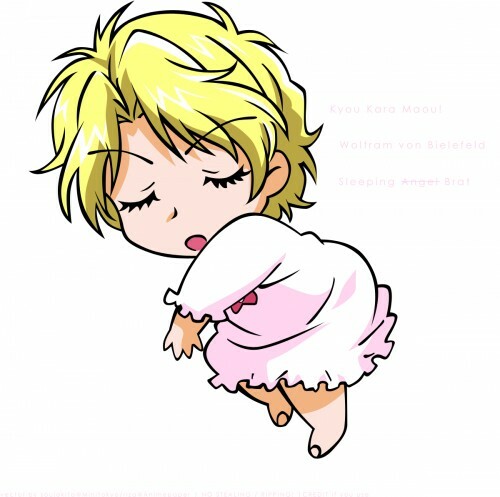 I know Wolfram looks like he's floating, b/c he was sleeping on Yuri's arm. Please remember to FULL VIEW when you comment. And please CREDIT if you use this vector. P.S. : Please don't tell me his feet look weird. I know they do. It looked like that in the original scan and I decided to keep it that way. B/c if I didn't, it looked as if he was wearing shoes or socks. Well anwyay, it just looked weird and I didn't like it. Wat a nice and cute scan! I like it! This is a very cute scan. XD This is going in my faves. yay, another cute vector! this one's soo chibi, is it a he or a she? waa! wolfie's just super cute! if he was real i would pinch his cheeks! Another Chibi vector of Wolfram? KAWAII AND ARIGATOU. I like it so much. Do u have one for Yuuri?